Described as the ‘impossible girl’, we’ve been promised a surprise when the truth behind Jenna’s character is finally revealed. But before we find out just what makes her so impossible, there are three other episodes, including the return of the Cybermen! Here, Jenna explains a bit about what we have to look forward to. I was really nervous that day. I think I had been on the show for five months by then, but I didn’t feel completely initiated, explains Jenna as she remembers stepping on to the TARDIS for the first time. For Matt, he got a brand new toy, but I was quite quiet. But what is like to film on the most of the most famous sets in the world? It’s impossible to keep still while you’re in there as there is so much to look at and play with. It was a fun time for us to have our own little home to inhabit, she concludes. As the series heads to the epic finale, which will spring board in to the 50th, more of the Doctor’s mode of transport will be revealed than ever before in the aptly titled Journey To The Centre Of The TARDIS. As Clara becomes trapped within the malfunctioning ship, pursued by a dangerous group of Time Zombies, it’s a race against time to escape before the TARDIS self-destructs. But what would she like to see at the centre of the time travelling box? I don’t think we should ever see what’s at the centre of the TARDIS as that’s the mystery. I like the sense of intrigue! During this series, Jenna’s character has been faced with lots of new challenges, as she gets to grip with life travelling by the side of the Doctor. 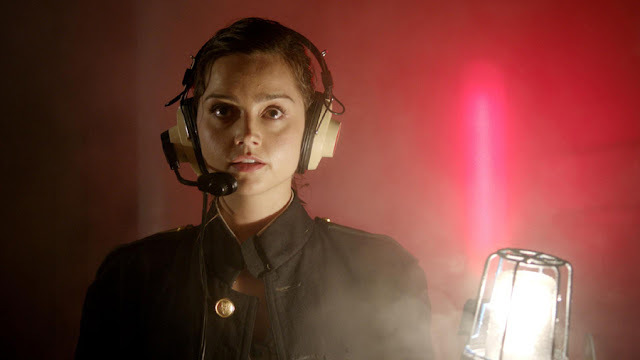 The finale, The Name Of The Doctor, will not only take fans to the place the Doctor should never go, but it will also solve the mystery around the impossible girl. Having remained tight-lipped about Clara, will Jenna be happy to finally be able to talk about her character? I am, I can’t wait! The finale story is such a fantastic idea; it’s epic and huge and filled with drama. It was really exciting to sit down and read the script, she continues. There are little bits and pieces, which Steven planted a couple of years ago. It’s just really clever and a crucial moment in the Doctor’s life that you get to explore with the best baddies! I really think they are going to become another Moffat classic, she concludes.